National Day of the American Cowboy. Began in 2005 by Wyoming Senator Craig Thomas, this day traditionally falls in time with Cheyenne Frontier Days. As the resolution states, the cowboy archetype embodies honesty, integrity, courage, compassion, respect, a strong work ethic and patriotism while transcending ethnicity, gender, geographic boundaries, and political affiliations. The state of Wyoming adopted a Code of Ethics in 2010 aka Cowboy Ethics. I don’t know about you… but I sure like this day… and state… and occupation. I’m with you and this wonderful code, even though I don’t live a cowboy culture. Very nice picture, by the way. The West is the Best in my book! National Day of the Cowboy was started or at least promoted, I think, by the magazine called “American Cowboy.” It was bought out by the non cowboys who referred to themselves as ‘journalists’ and is now defunct. I find that sad. We’ve only lived in Wyoming. for a year now, but have already gained a tremendous respect for the American Cowboy culture here, and all that it stands for. 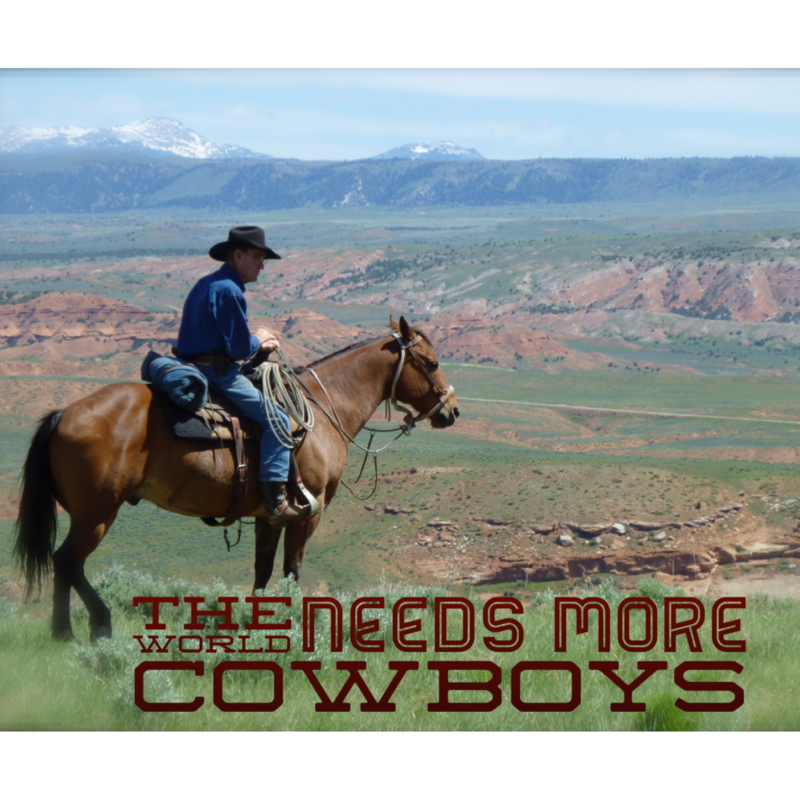 God Bless Wyoming, and God Bless Cowboys – and Cowgirls! I agree. Amen!! I don’t live in Wyoming, but, I try and live by these codes.